– Average salaries for new roles reached a 12-month high in November, soaring by a staggering 28.9% across the nation. What’s more, key cities such as Liverpool, Glasgow and Southampton are leading the way when it comes to pay growth. That’s according to the latest job market data from CV-Library, the UK’s leading independent job site. 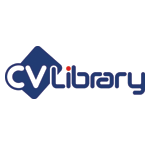 If you’ve got vacancies to fill, don’t hesitate, post your jobs with CV-Library today.